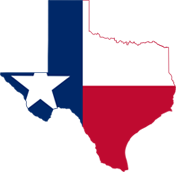 Located in Austin, Texas, NextView is not only a local moving and storage company, but we also operate in the entire state of Texas. We are the leading moving company in the city. Our uniformed crew members have all been thoroughly screened to ensure your safety as well as the safety of your belongings. We are fully licensed and fully insured and offer full coverage insurance to better reassure you. Our full coverage insurance will cover the cost of any unexpected damage so that you are not surprised with any sudden additional expenses. Our services range from statewide moving to local moving and storage and much more. One of our qualified movers will come to your home or office and give you a free estimate for your upcoming move as well as answer any questions you may have regarding your move. Every job we receive is treated as the most important one to perform. If you do not have the space for your belongings, we offer safe storage options. Take a look at the things you intend to store. Keep in mind that a storage unit should have enough room for your items and enough space for you to work. Getting your items out will be challenging if you pack your storage unit wall to wall and floor to ceiling. It is an enormous waste of time to have to empty half of your storage space to get to a box that’s in the back. NextView Moving has the knowledge and expertise not only to get your assets from point A to point B safely and efficiently, but also to store your belongings just as safely and effectively. Come and take a look at our local moving and storage company. NextView Moving is an honest moving company, contact us today so that we can help you with your next move.